When choosing a costume for your dog, make your dog’s safety a priority. Try to avoid costumes that do not fit, and that have small components that your dog can choke on. Visit a pet store or a Halloween store to find a costume for your dog. Choose a costume that reflects your dog’s personality, or a themed costume for you and your dog to enjoy together. 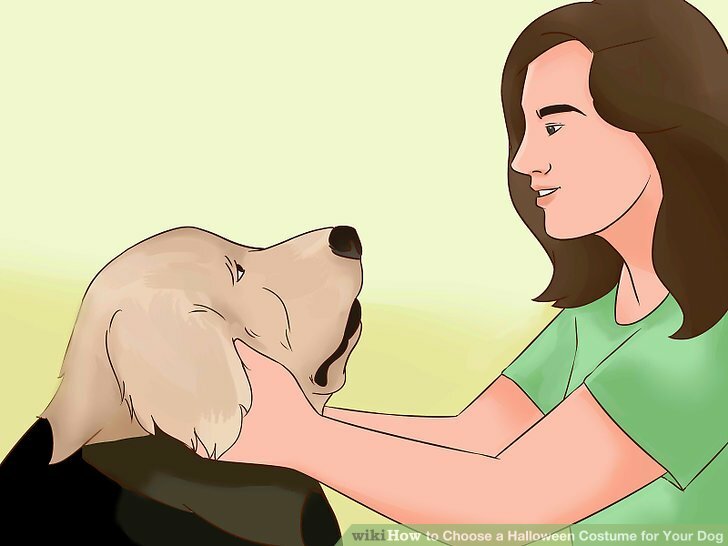 Finally, remember to go through some trial runs before the big night to ensure that your dog is comfortable with the costume, and that the costume fits properly. Choose a lightweight costume. Make sure the costume you choose for your dog is not too heavy, both in terms of weight and breathability. Costumes that are too heavy can possibly injure your dog, or cause your dog to overheat. Lightweight costumes also facilitate movement. 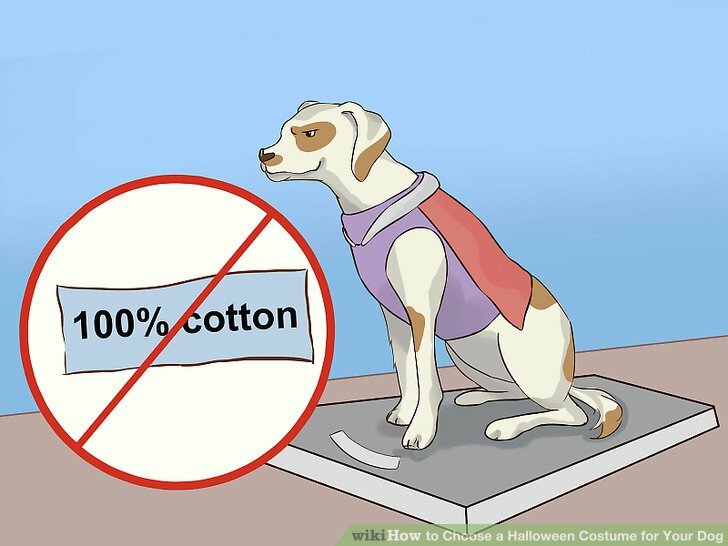 Weigh your dog before buying their costume. 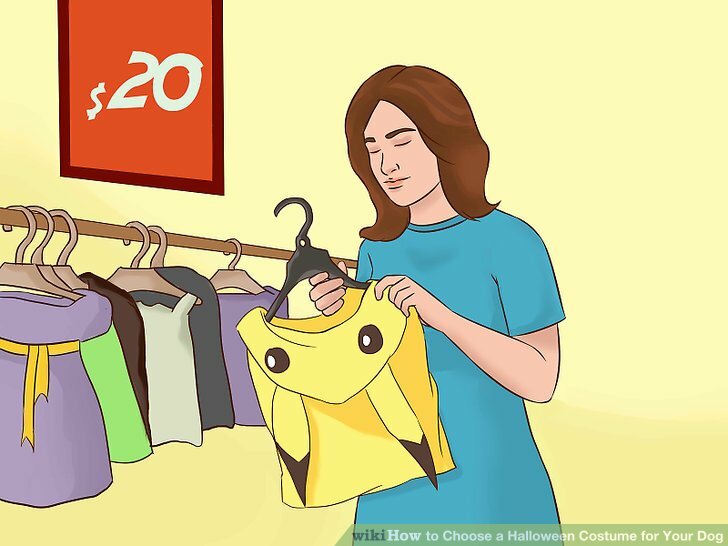 Then, buy a weight-appropriate costume. If you notice your dog panting after wearing the costume for 30 minutes, take the costume off and return the costume. Try to avoid costumes made with 100% wool or cotton. Ensure the costume allows mobility and visibility. 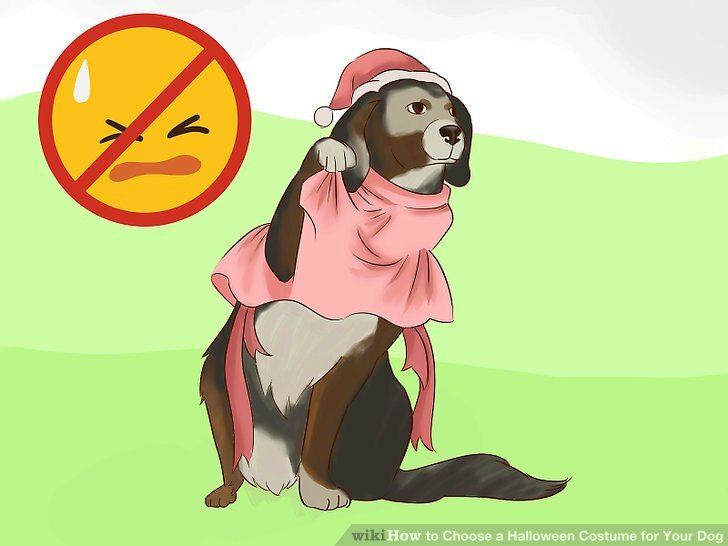 The costume should not cover your dog’s eyes or ears. Your dog should also be able to stand, walk, sit, and lie down, as it normally would, while wearing the costume. Eliminate costumes with small parts. 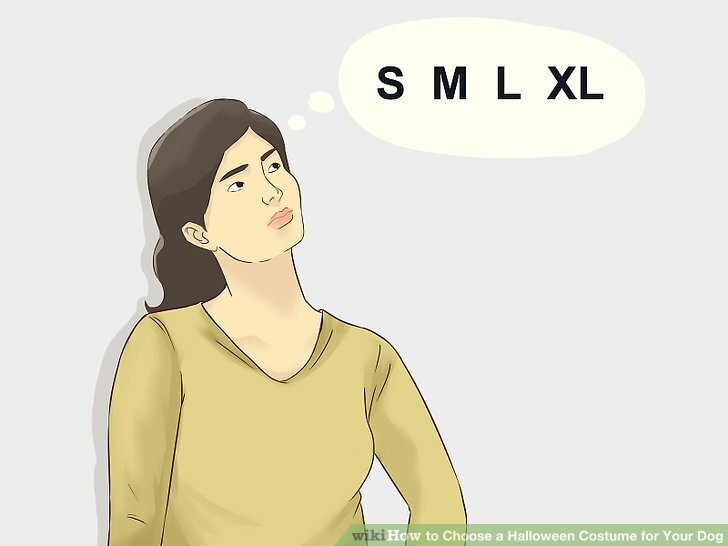 Before buying a costume, examine it closely to see if it has any small parts that your dog can easily pull out, ingest, or choke on. 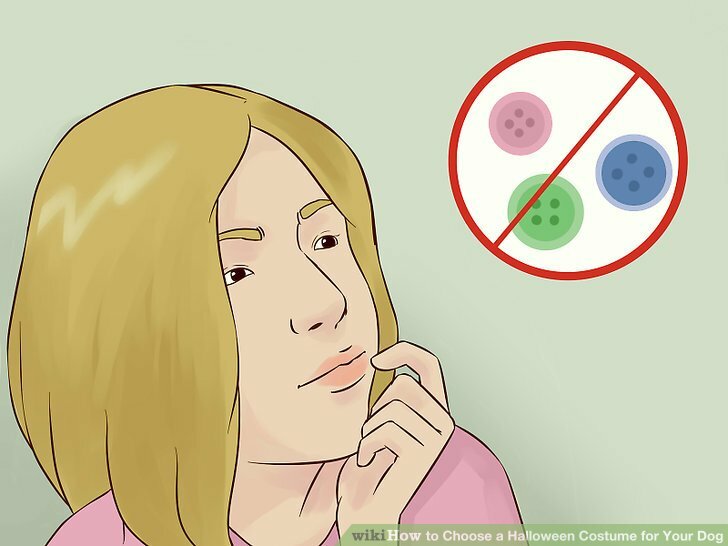 Avoid costumes with small parts like ****ons, little plastic objects, or excessive fabric. Avoid noisy costumes. Costumes with moving and noisy parts should be avoided. The noisy or moving parts can stress out your dog. If your dog is pacing or pawing at the costume excessively, these are signs that your dog is uncomfortable with the costume. Take it off immediately. Visit pet supply stores. Big chain pet supply stores are a great place to look for a costume for your dog. Pet supply stores usually have a variety of costumes to choose from. In general, buying a costume from a pet supply store is cheaper than going to a traditional Halloween costume shop. A full costume will cost around $20 at a pet supply store. The accessories are cheaper at these stores, as well. Go to a Halloween costume shop. Traditional Halloween costume shops usually host a variety of costumes for your dog. However, these stores might be less aware of the safety hazards for your pet. Make sure to inspect all costumes before buying one for your dog. Make sure the store has a good return policy in case your dog ends up hating the costume, or it does not fit. Search online. You can also search for costumes online. However, sizing can be an issue. 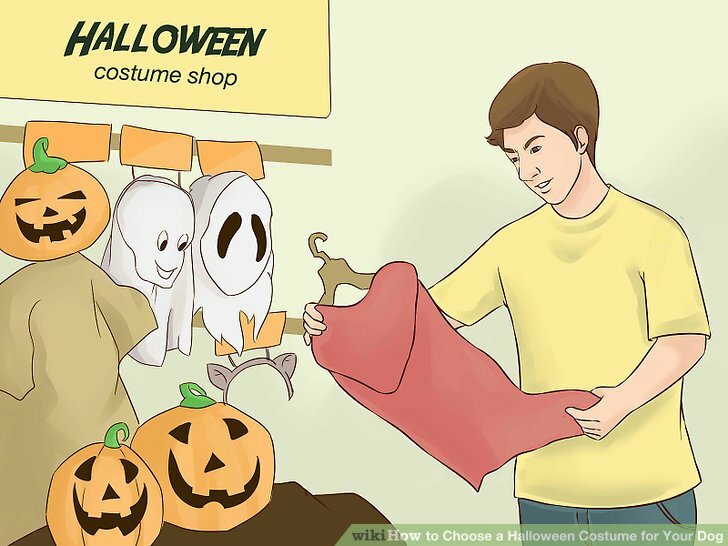 Therefore, make sure you search well in advance since it will take time to receive, try on, and return the costume if it does not fit. Online sites are also great places to buy safety accessories for Halloween night. For example, reflective collars or glow-in-the-dark details that can help you keep track of your pet at night. Choose the right size. By knowing your dog’s size, i.e., small, medium, or large, and weight, you can find a costume that fits your dog appropriately. Costumes that are too small can impair circulation and movement, and can cause your dog to overheat. 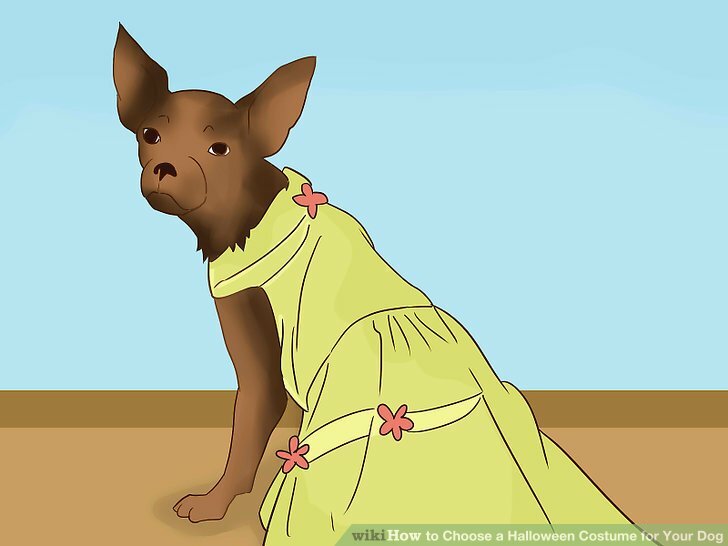 On the other hand, costumes that are too big can cause your dog to stumble or become tangled. 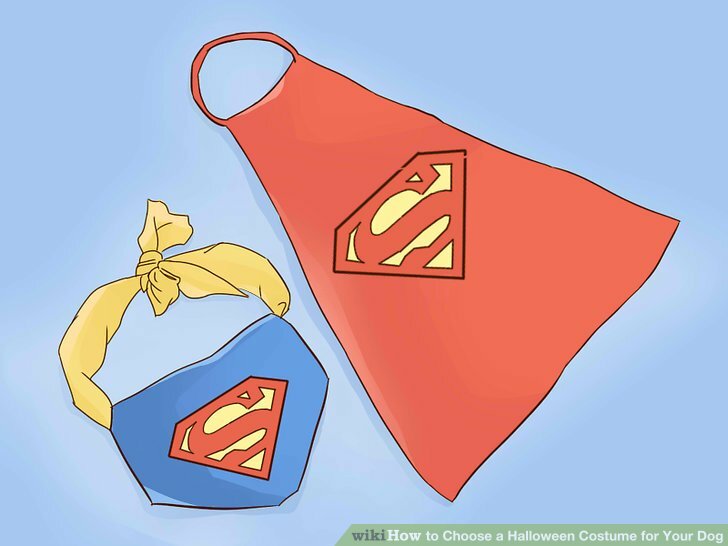 Try to avoid costumes with long capes. Your dog can trip or become tangled in the cape. Consider your dog’s personality. Is your dog a protector or an explorer? Does your dog love to eat? Is your dog goofy or bossy? Pick a costume that reflects your dog’s personality. If your dog is a protector, dress it up as a police officer or comic book hero, like Batman or Superman. If your dog loves eating, dress it up as a hot dog or a pumpkin. Dress your dog up as a pirate or a sailor if it loves to explore. Choose a theme. Themes are fun, and allow you and your dog to enjoy Halloween together. Some common examples of themes are Batman and Robin, a hot dog and ketchup/mustard, Beauty and the Beast, Star Wars themed costumes, and other famous duos. 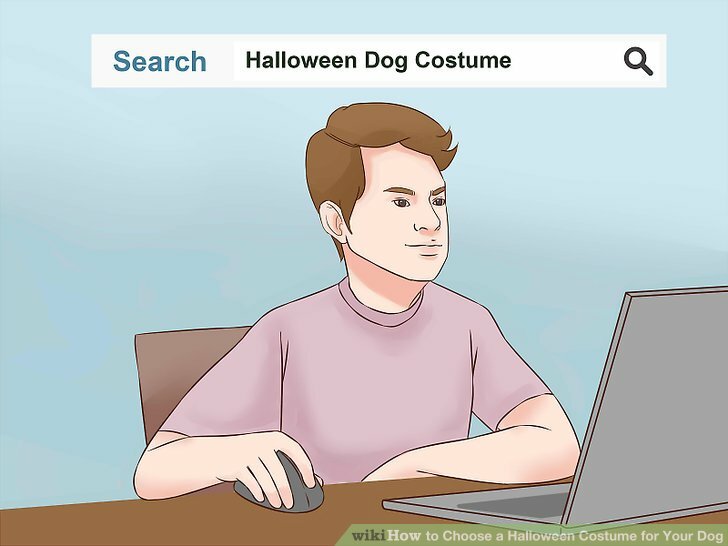 Make your dog's costume. You will need to buy a t-shirt (the size depends on the size of your dog), felt cloth, marker, glue, scissors, and any other materials you will need to make your desired costume. First, cut the sleeves off of the t-shirt. Then, draw and cut any patterns from the felt cloth. Finally, glue the patterns to the t-shirt to make your design. For example, if you decide to dress your dog up as a stegosaurus, you will need to buy a green t-shirt and brown felt cloth. Fit the t-shirt on your dog. Then take it off to cut the sleeves. Outline the stegosaurus' plates on the brown felt cloth, and cut them out. To complete the outfit, glue the plates on the back of the t-shirt. 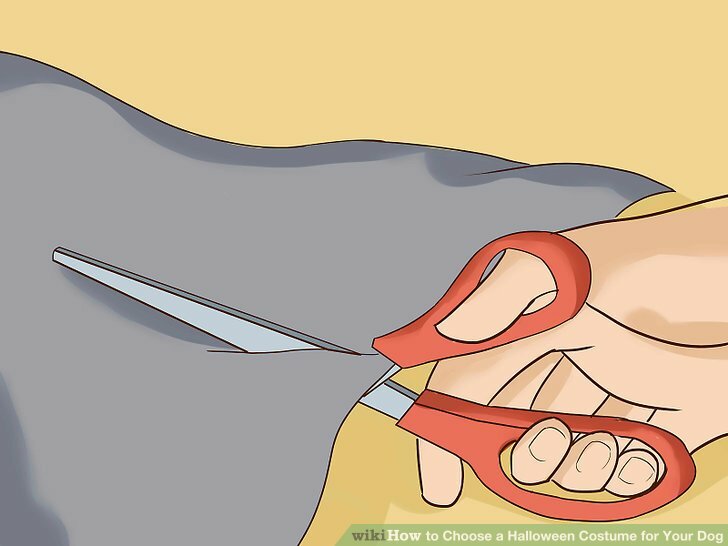 Try to avoid gluing any small objects to the costume that your dog could choke on. Rehearse with your dog. Before the big night, it is important that you dress your dog in the costume multiple times. 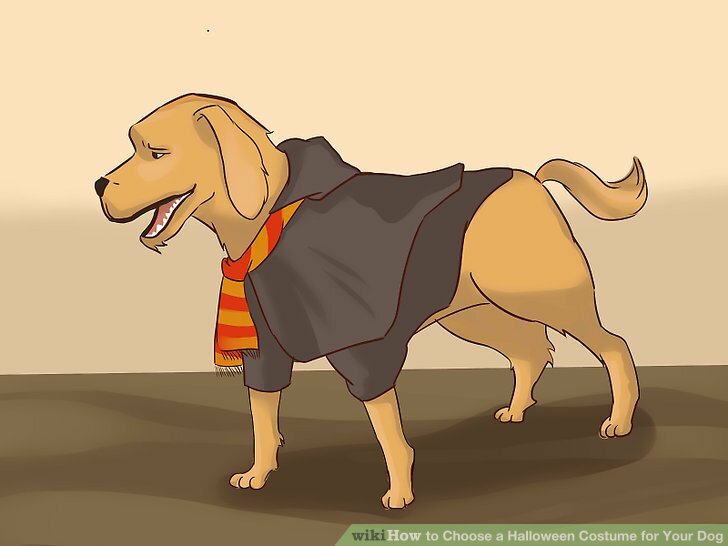 This way, you can see how your dog reacts to the costume, and if it fits properly. If your dog shows signs of pacing or excessive panting, paws or claws at the costume, or refuses to move, then the costume is causing undue stress on your dog. If the costume stresses out your dog, opt to accessorize your dog instead. For example, you can buy a matching leash and collar that reflects a particular theme, a head band, or a bow tie for your dog to wear. Once you decide on a costume, hand wash the costume to remove any chemicals from the fabric that can cause an allergic reaction or a skin irritation. Don’t force your dog to wear anything it does not want to wear. Don’t leave your dog alone in its costume.